Do Your Hips Get Bigger From Running? Running will not make your hips bigger. Most women don't want their hips to get any bigger. You work to keep your body toned and fit, and fit into your jeans. 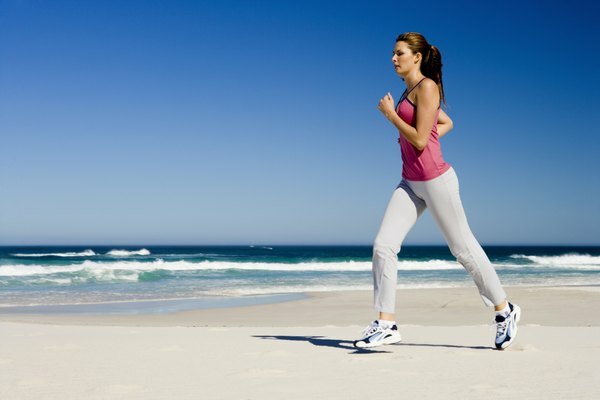 Running is an effective form of cardiovascular exercise to help you stay at a healthy body weight. Your hip joints and muscles are working while running, but they're used for endurance and won't get bigger from the exercise. Your hips are ball-and-socket joints that can flex, extend, abduct, adduct and rotate. They are formed by your femur, or thigh bone, and the ilium, or hip bone. Many muscles cross the hip joint and help it perform its various actions. Gluteus medius and minimus lie on the outside of the hip and help extend and abduct the hip joint, or they help pull your leg back and out to the side. These are the muscles that would give your hips a wider appearance if they were to grow. Muscles don't grow overnight, and they usually don't grow with cardiovascular exercise such as running. Muscle hypertrophy is the increase in muscle mass and cross-sectional area that results from progressive training, according to Dr. Len Kravitz of the University of New Mexico. Resistance training is what causes this growth, not cardio. And it's very hard to grow your muscles, especially for women. It can take months to years of consistent, progressive resistance-training workouts to cause muscle hypertrophy. Running regularly just won't do it. Running is an endurance exercise. It's repeated, large-muscle contraction that elevates your heart and respiration rates. It's high impact and can be a very vigorous form of exercise. Running regularly will help lower, or maintain, your body fat for weight loss. It improves your fitness and lowers your risk of disease. For your hips, they may look more toned because your body fat is lower. Every person is different. There are a small group of men and women who grow muscle tissue more easily than others. If your hips seem to be bigger, analyze your resistance-training program first. You may need to change your sets and reps, as well as resistance used, to avoid putting on too much muscle. Next, look at how you run. Have an expert analyze your mechanics. Maybe you're running inefficiently and using your hip muscles more than you should. Correct your form to avoid injury, and stress to your hips. 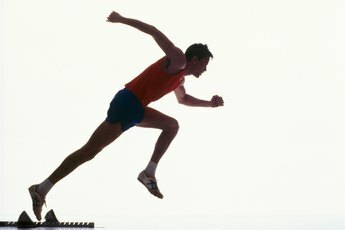 Can Running Ruin Squat Strength?